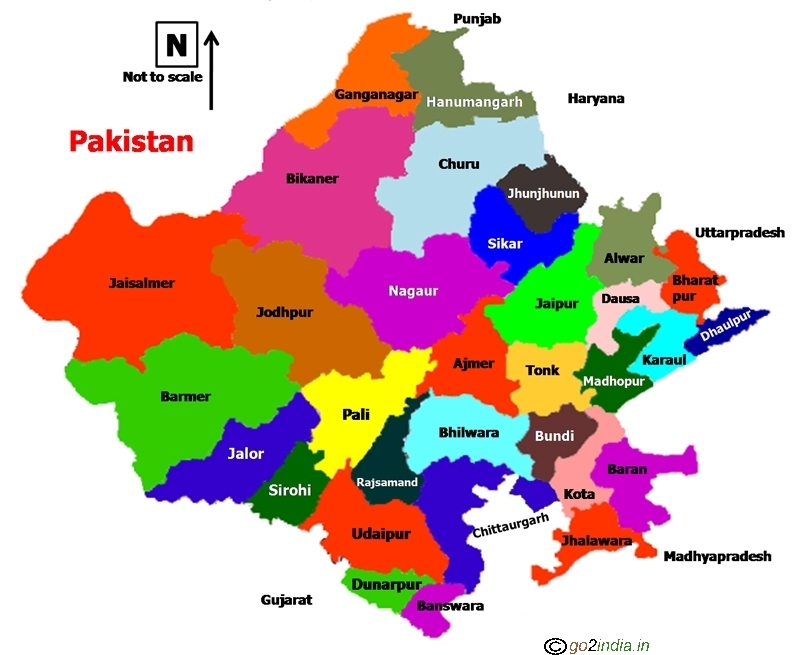 Rajasthan is one of the colourful state of India. 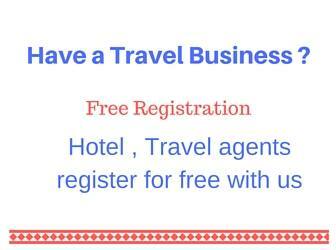 This state is well connected from all parts of India and it attracts tourists from all over the world. Jaipur the capital of Rajasthan is part of the golden triangle of tourist circuit connecting Delhi, Agra and Jaipur. Different part of Rajasthan is well connected by rail network but road is the most popular means for transport here. Overnight sleeper buses can take you to any city of Rajasthan. Udaipur, Jodhpur and Jaipur have airports with regular flights. 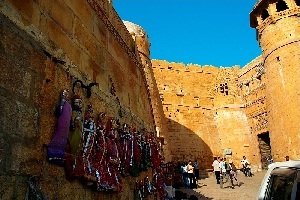 There will be some weekly flights to Jaisalmer during tourist seasons. 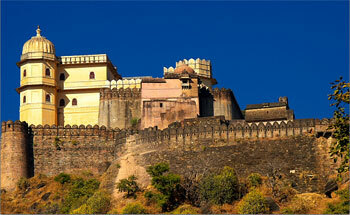 Rajasthan is the state of Royal families and Maharajas. The forts attracts tourists from all over the world. Many come to experience the royal living styles of erstwhile kings and royal families. Most of the forts have preserved the items of old days like swords, thrones, carpets, paintings, Kerosene fans, cannons, guns, Palanquin and many other items. There are some rare items like Largest Silver Object � Urns ( Gangajalis ) at city palace Jaipur, worlds biggest wheel mounted cannon Jai Baan, unique water harvesting system of Jaigarh Fort and many more. Some of the palaces are converted to hotels so tourist can enjoy a royal stay inside these palaces. Lake Palace hotel of Udaipur operated by Taj group is located inside a lake by the side of Udaipur palace. In some forts still families are staying, you can see their daily life while visiting these forts. Jaisalmer fort is one such fort where many families are still living. Almost all forts have some war history attached to its existence as these forts were build to protect against outside invaders. Cannon shell marks are still visible in the walls of Jodhpur fort and they remind the visitors about the fight between Jodhpur and Jaipur kings. Rajasthan has some famous religious places. Kings, Maharanas and business persons has supported or constructed many temples. There are 300 Jain temples inside Kumbhalgarh fort. Rana Kumbha has allotted land and encouraged the construction of Ranakpur Jain temple. The state has many other big Jain temples and most of them constructed using marble stones, these temples of beautiful colour attracts tourist from all places. 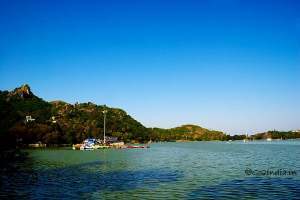 The famous Brahma temple is located by the side of Pushkar Lake. Just 30 Km from Pushkar is the Ajmer town famous for the sufi saint Khwaja Moinuddin Chisti Dargah. Western part of Rajasthan state there is Thar desert. At the center of the desert the golden town Jaisalmer is located. This small town has many tourist attraction points and famous for camel safari and desert sunset points. Jaisalmer fort is a visible from all parts of the town and one of the famous forts of Rajasthan. Many local tour operators at Jaisalmer can organize desert trekking programs for you. It is not that only the kings have big structures like palaces, some influential politicians, businessmen, Rajputs, Brahmins , traders etc have constructed beautiful houses known as Havelis in different part of Rajasthan. Ornamental doors, Jalli balconies, drawing rooms etc reflects the luxurious livings of these peoples. If you are at Jaisalmer then you must visit Patwon Ki Haveli to experience the glorious history of Patwons the businessmen of Rajasthan. 2. Briyawali in Bikaner district of Rahasthan recorded the highest temperature of 55 degree celsius during June 1991. 3.Thar desert which is also known as The Great Indian Desert is the Largest desert in India with an area of 2,59,000 Sq.Kms. 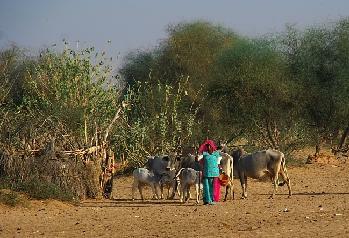 Rajasthan is not only the land of Kings or business peoples, it also has many tribes and gypsies. Bopa gypsies are still continuing their livelihood by singing and dancing in fares and market places. If you are in Pushkar you will find many such gypsies dancing and singing during festival times.